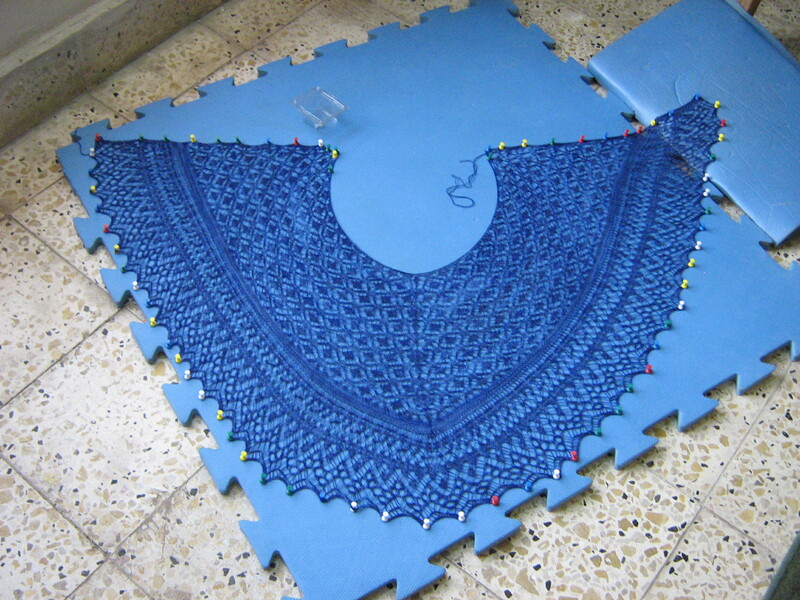 Here it is as it’s blocking on my wonderful just-barely-too-small blocking board. 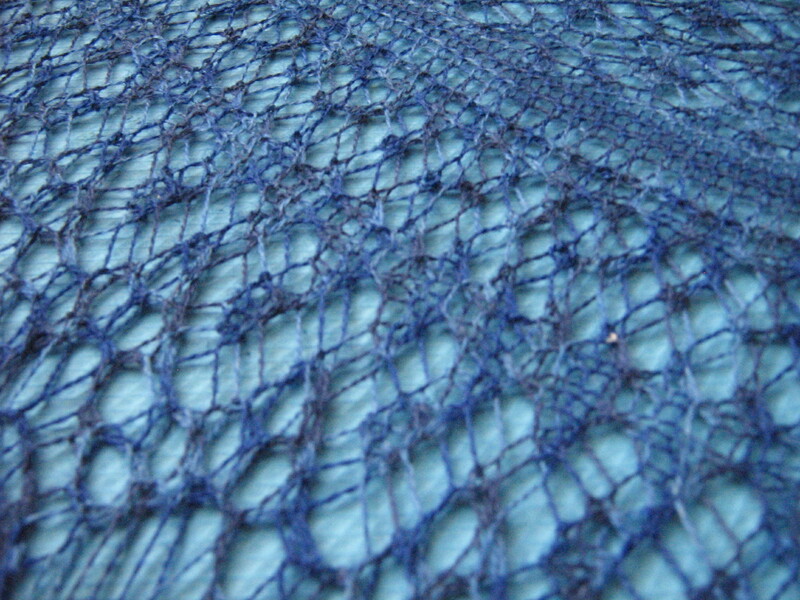 I really like the color variation in this yarn; you can see it pretty well here. 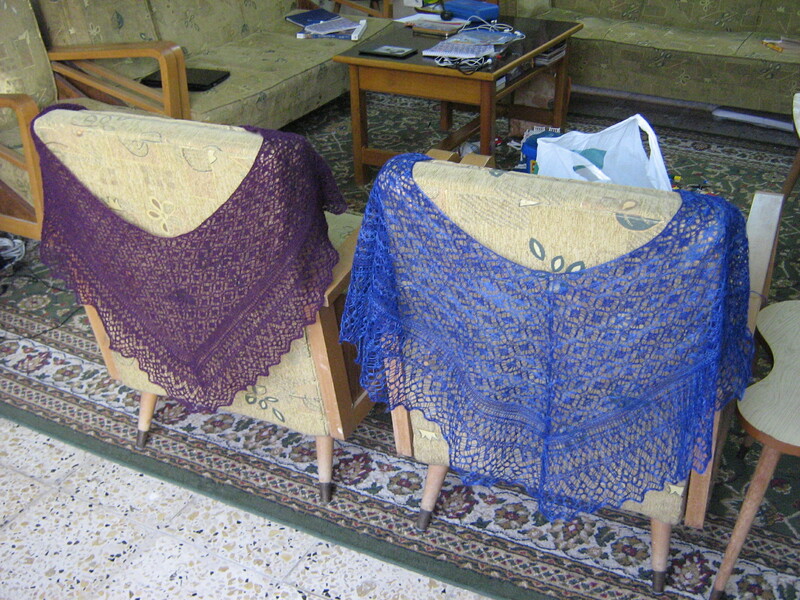 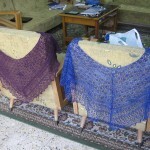 The purple shawl was the first shawl I knit with this pattern. 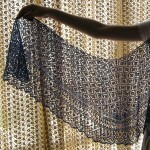 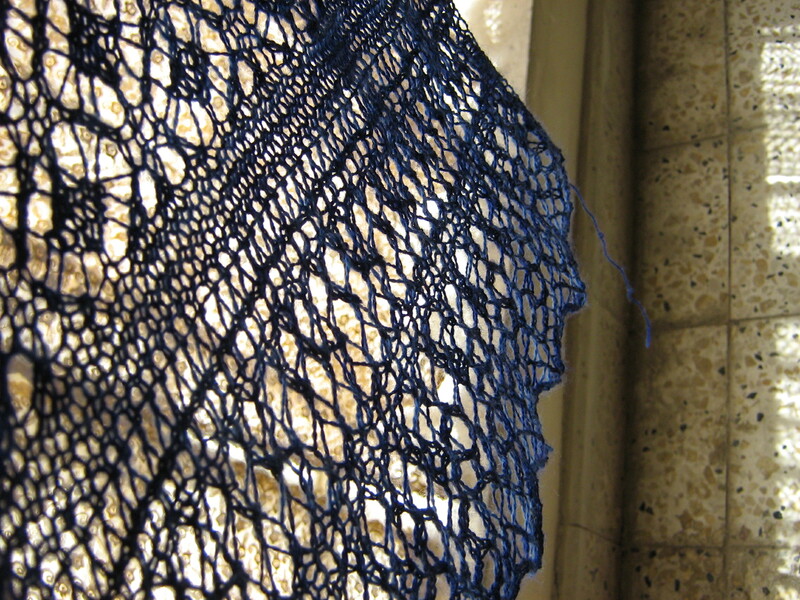 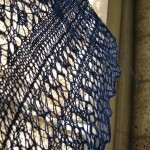 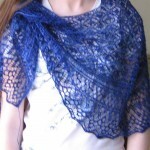 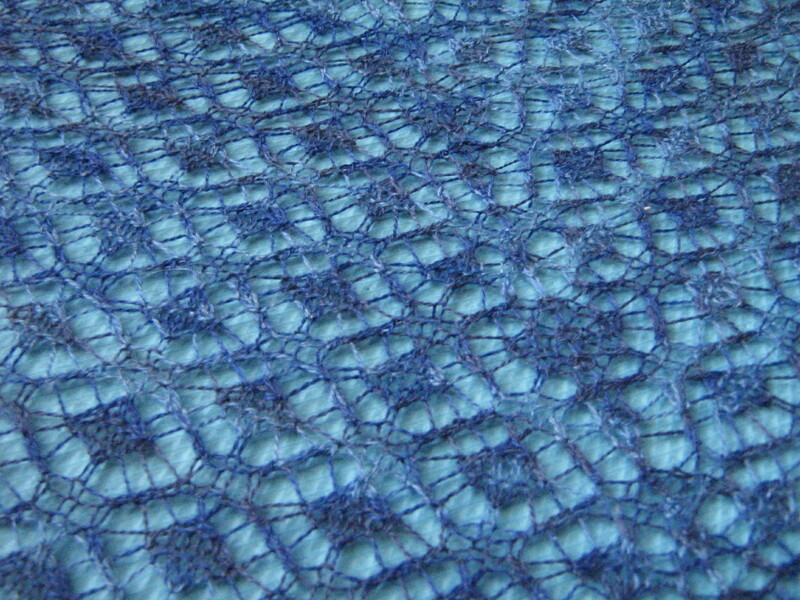 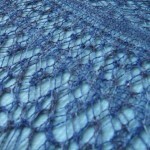 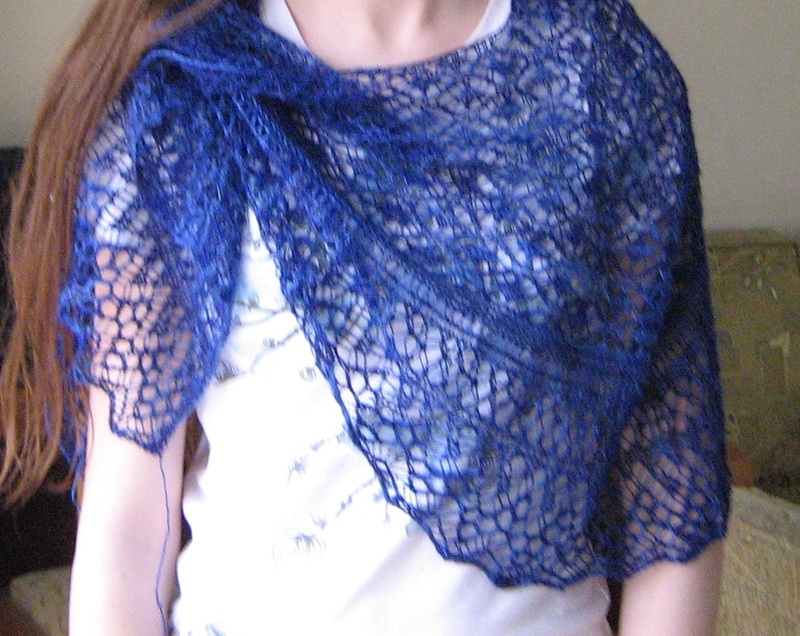 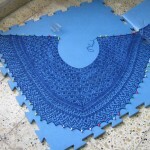 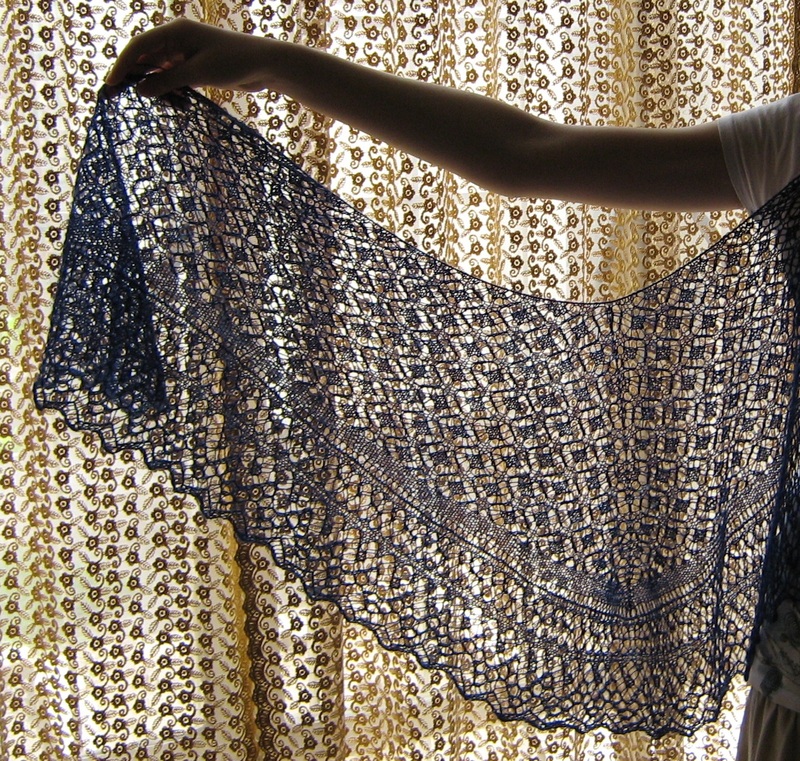 I knit the blue shawl with thicker yarn and larger needles, as is rather obvious. 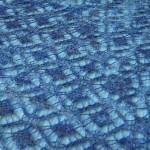 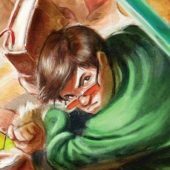 This picture is blurry, so don’t look too closely.